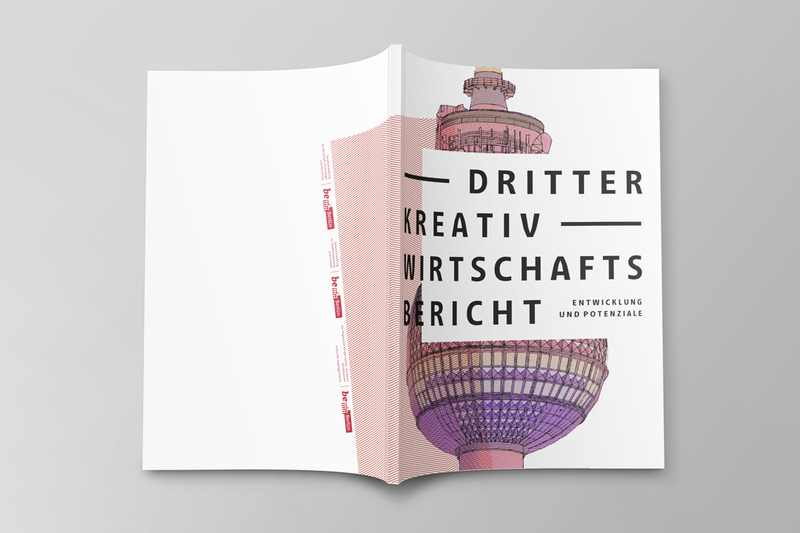 The Berlin Senate commissioned us to design the look of its third report on the city’s creative industries. 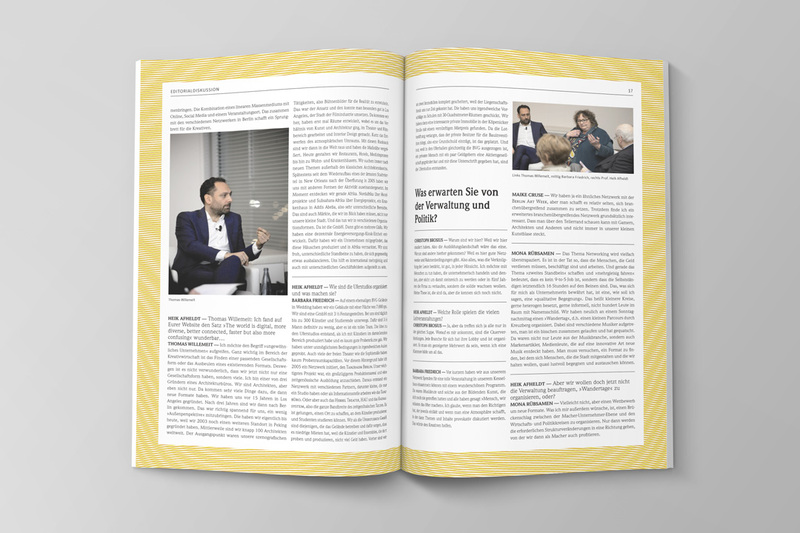 The resulting publication was an extended editorial featuring general information on the economic significance of creative enterprise in Berlin, plus statements from many of the people involved. 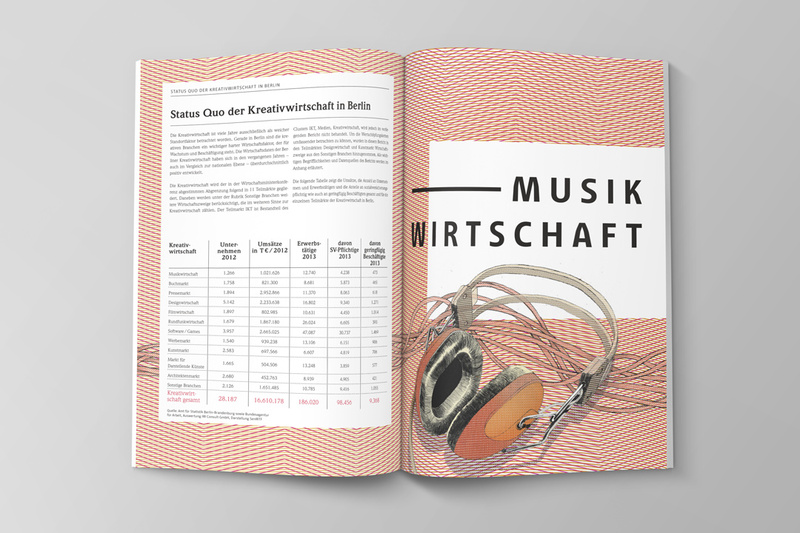 The main challenge was to convey the image of Berlin as a creative metropolis in the form of a market report. 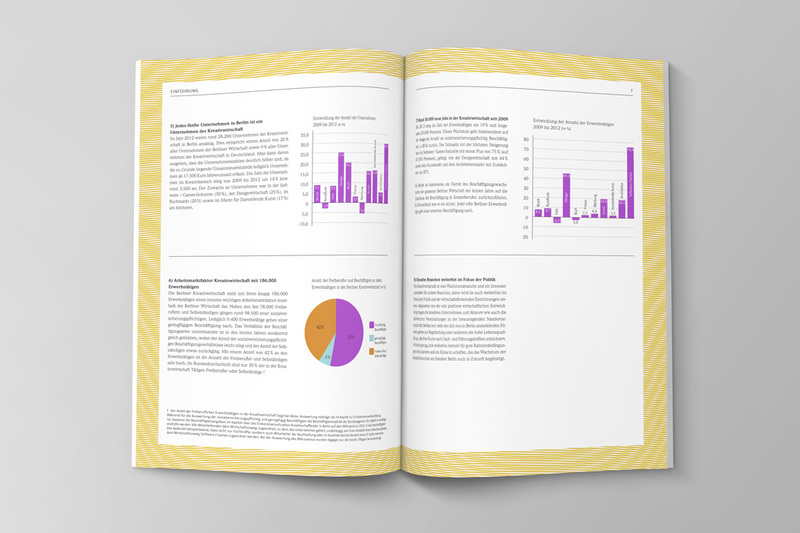 To do it, we incorporated insights from creative-industry experts to supplement the Senate’s facts and data on 11 different market segments. 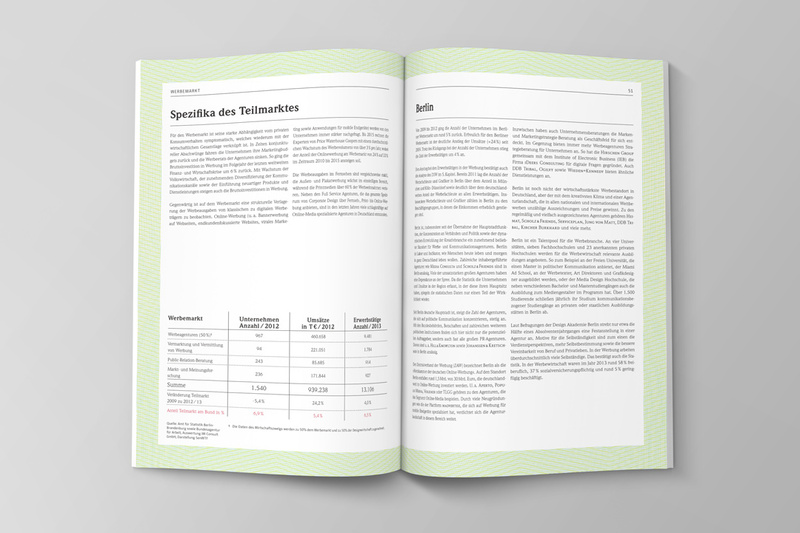 Grids of fine lines run throughout the publication, providing a structure for each thematic section, including diagrams and infographics. 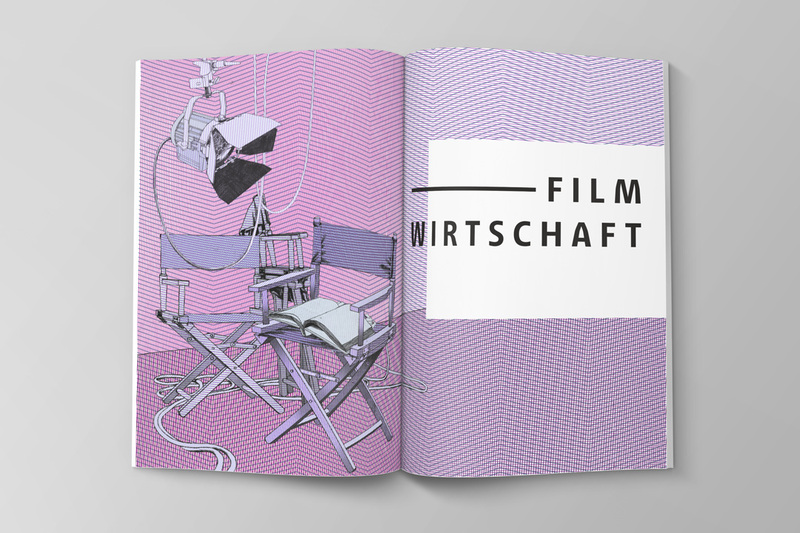 Striking illustrations by »Drushba Pankow« add extra authenticity to the presentation. 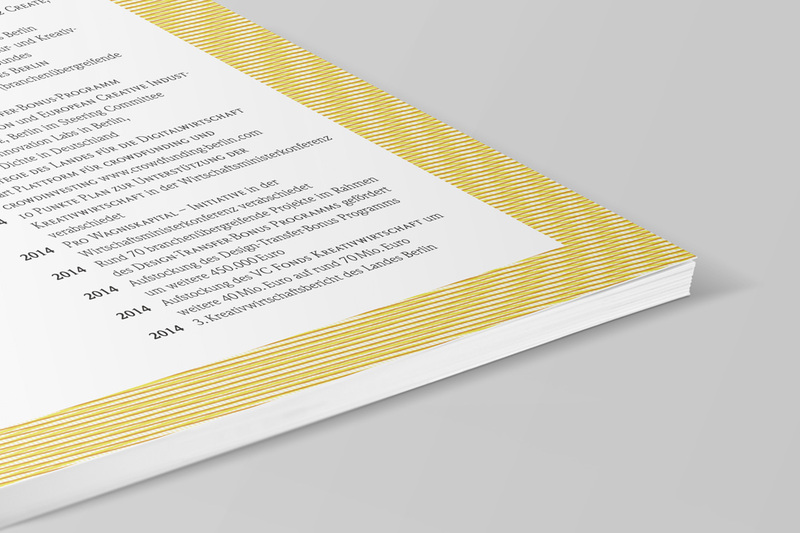 The report is published in both German and English and can be accessed online.